Passing class 10th and 12th examination with good grades is quite essential for getting admission in a good university or college. However, many students are unable to pass CBSE board examination in the first attempt. 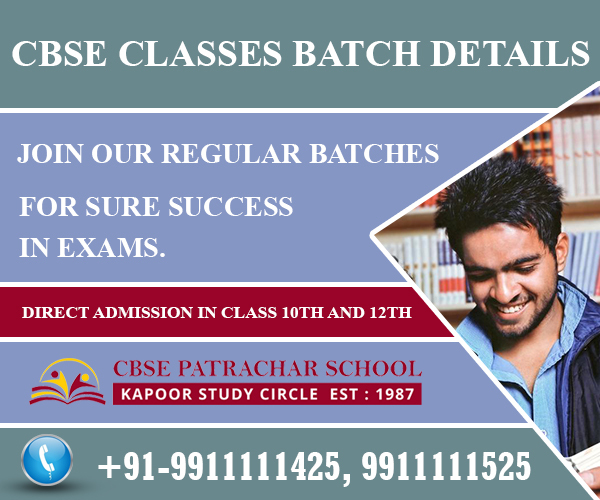 The Kapoor Study circle helps such students to clear CBSE class 10th and CBSE class 12th examination with good grades. Failing once in the board exam deprives the students from completing their schooling and Patrachar Vidyalaya helps such students to complete their schooling. If you belong to any of the below-listed categories, then take admission in Patrachar Vidyalaya and step ahead in your career. If you want to complete your schooling, then fill Patrachar Vidyalaya admission form 2017. 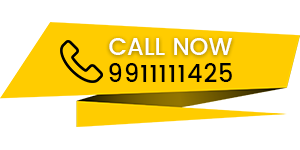 Take admission in Patrachar Vidyalaya and save your precious year. If you have failed in 9th or 11th standard you need not repeat the same class and waste your year. 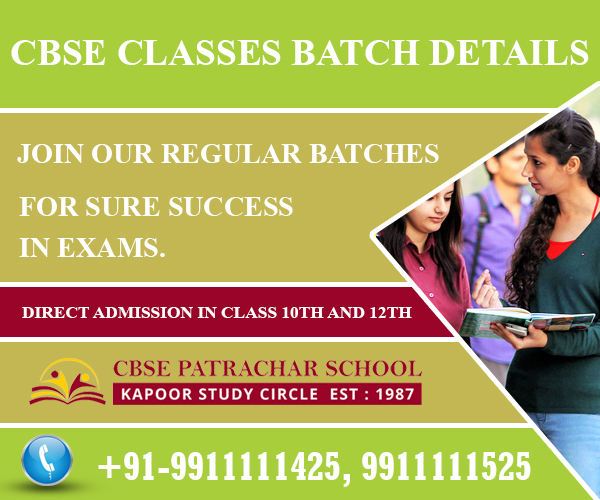 Patrachar Vidyalaya helps you to carry your studies forward and get admitted in the 10th or 12th class respectively. If you have studied privately up to class 9th or passed 8th standard one year back, then the regular school may not allow you admission. However, you can easily take admission in Patrachar Vidyalaya and can easily appear for the CBSE board examination. After completing your schooling from Patrachar Vidyalaya, you can easily get admission in any college or university for completing your further studies. The Kapoor Study Circle helps students to prepare well for the examination. We understand the fear of students after failing once and thus provide them with high-quality education. We provide special coaching to students for helping them to get in-depth knowledge of the subjects and prepare well for their CBSE class 10th and CBSE class 12th exam. We have teaching professionals with vast experience who know the art of teaching students and preparing them for the examination. The Kapoor Study circle provides special coaching classes to students in numerous different batches to suit students. You can opt for regular classes, evening classes and weekend classes as per your own feasibility. We provide students with modern facilities and equipments for better understanding. The Kapoor Study circle not only provides special coaching classes to students but also help them in filling the admission form, completing the formalities related to Patrachar Vidyalaya admission and a lot more. We explain the each and every subject with the help of mock tests, previous years question papers, easy to understand study materials and study guides for the subjects. After studying at the Kapoor Study Circle students find the question paper far easier and thus pass their CBSE class 10th or CBSE class 12th examination with good grades.